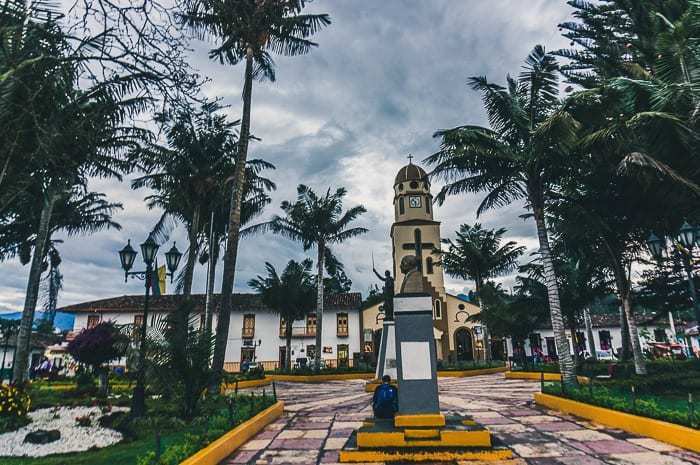 Salento, Colombia sits in the heart of the Coffee Triangle — Eje Cafetero — just a short drive from the city of Armenia or Pereira. 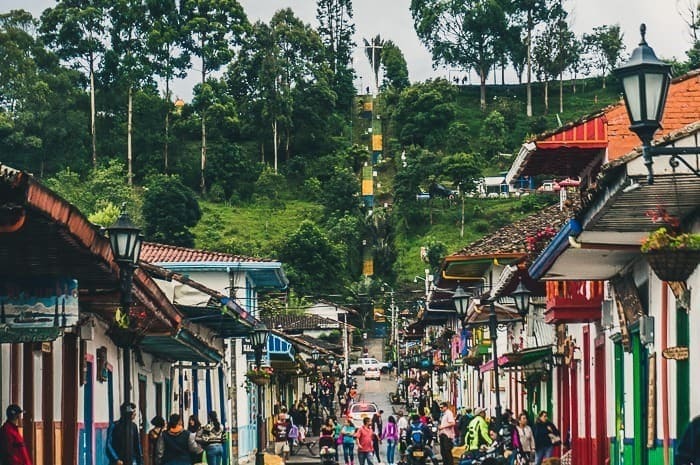 I’ve visited lots of little towns all across Colombia, but Salento stands out as one of the best — quaint and beautiful, friendly and fun. 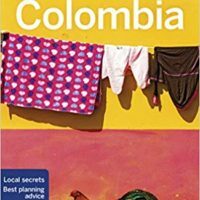 You could easily spend a few days or even a week taking in the town and surrounding area, thanks to all the awesome things to do in Salento Colombia. This is, quite simply, one of my favorites places to visit in Colombia. Here are a few ideas for what to do in Salento on your next visit. We might as well get this one out of the way first — Cocora Valley hike is the real draw of Salento. To visit, you can just hop in the shared Jeeps in the main square and take the half hour ride to visit these towering wax palms that stand nearly 60-meters above the verdant green valley floor. 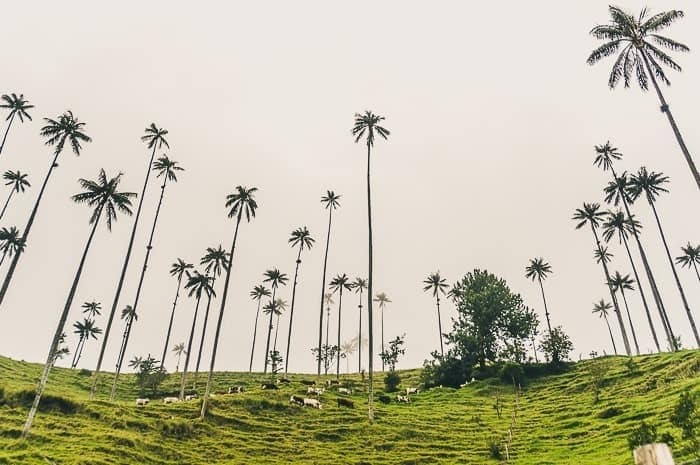 The Cocora Valley is truly one-of-a-kind and should be at the top of the list for any visit to Salento. See my more detailed guide to hiking the Cocora Valley for more information. 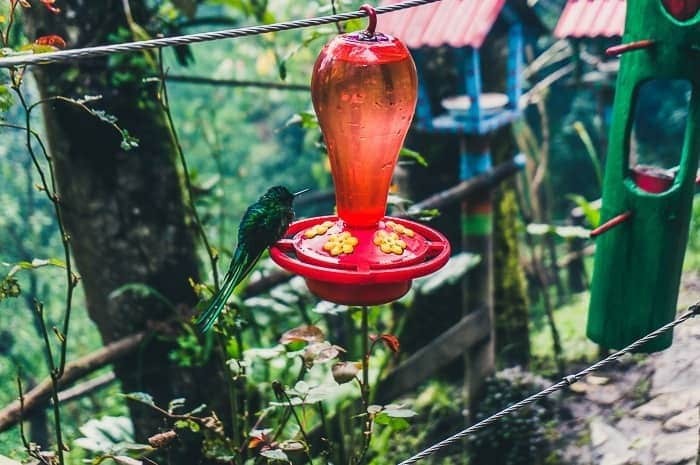 Along the backside of the Cocora Valley loop, there is a brief, 2km out-and-back hike to Acaime, the hummingbird house. The house itself is a modest place nestled into the deep woods (at least two hours hiking) where you will see tons and tons of hummingbirds of all types. There are little fluffy ones, colorful ones, bright ones with big long tails. Hummingbirds are pretty cool little species, and it was incredible to see so many of them in one place, and not fighting — at least not fighting too much. Acaime is a private reserve and costs 5.000 pesos per person to enter, but that entrance fee comes with a free drink (try the hot chocolate and cheese, if you haven’t already!) and you can hang out as long as time allows you. 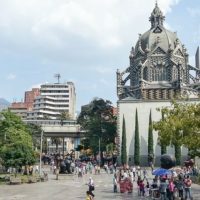 Along NE corner of the main plaza you will find a mostly pedestrian street — cars are allowed, it’s just not a main thoroughfare — with tons of shops, restaurants, and cafes. This is where everybody comes to stroll in the early evenings. 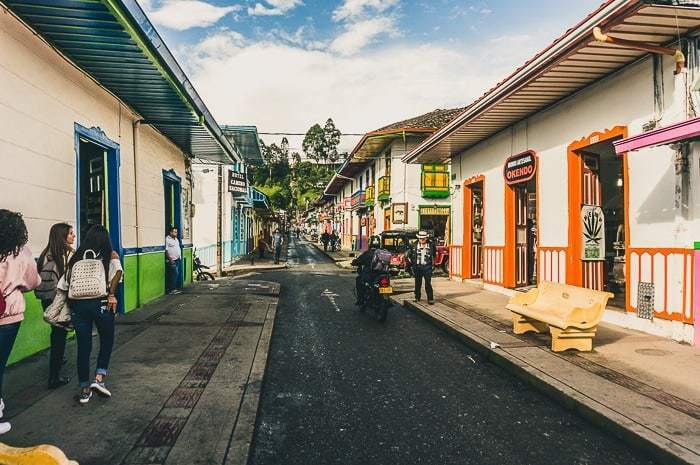 While the stores are mostly full of tourist knick-knacks, jewelry, and Wayuu bags, it’s an enjoyable place to go for a walk and enjoy pueblo-life. Side note: the Wayuu bags, by the way, are quite handy. 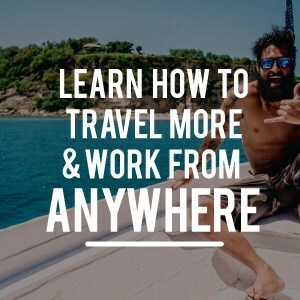 I use mine all the time while traveling. Prices are around 85.000 for a bag in Salento, depending on quality. To test it, you should set the bag upright on a table and it should stand up like a bucket, rather than collapse in on itself. That’s how you know you have a quality bag. At the end of Calle Real rises a steep series of colorful steps that lead up the hillside, at the top lies the mirador. The view immediately at the top of the stairs isn’t out of this world, but if you hike further off to the left, you’ll be offered a better view. While hiking up at sunset is great, you might not want to hang around in the dark. While Salento is safe generally speaking, I have heard accounts of robberies at night thanks to the growing tourist trade. Trout is pretty much the most popular dish in town, served in virtually every restaurant. If you, like Andrea, don’t eat fish, you can still find other options like chicken, pork, or beef, in most restaurants. The trout is served up in a variety of means, from fried to a soupy, garlicky dish. Personally, I love trout, and found the local options to be fresh and delicious. Tip: if you’re on a budget, be sure to visit Rincon de Lucy, located along Calle Real. While the place doesn’t look like much, it serves up some really, really good food, lots of it, and for cheap. 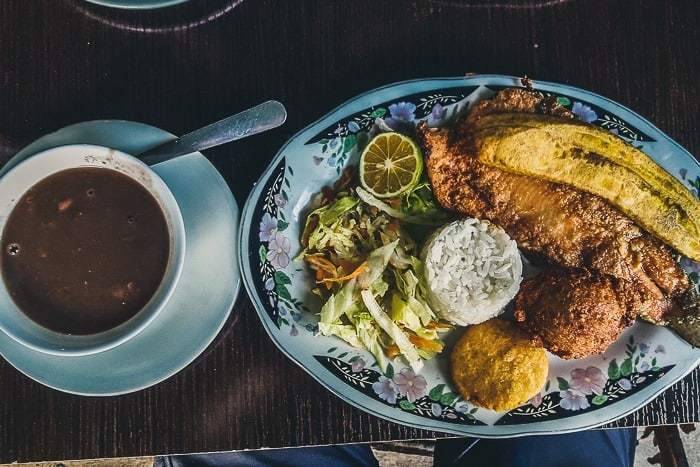 The fried trout came with rice, salad, beans, soup, juice, and a fried choclo ball, for just 8.000 pesos — less than $3. If you’re feeling like something a little different than the typical menu of the day, be sure to check out the food truck block, and you’ll feel like you’re in Portland or somewhere similar. 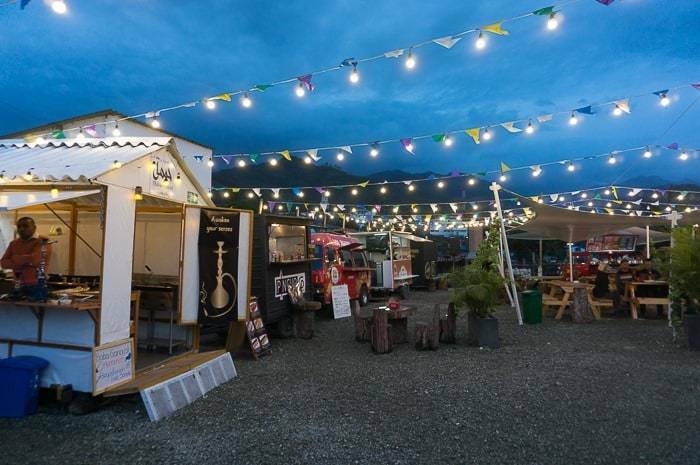 It’s an open air food truck court with a fireplace, central seating, and a variety of places to choose from. You’ll find Venezuelan arepas, hamburgers, Mexican or Arabic food, and much more. The place is kind of hidden because it isn’t located in the central part of downtown, so unless your hotel or hostel is nearby, you might miss this awesome spot. The block sits along the road into town, just before you exit. If it’s nighttime, you can see the overhead lights glowing in the distance. 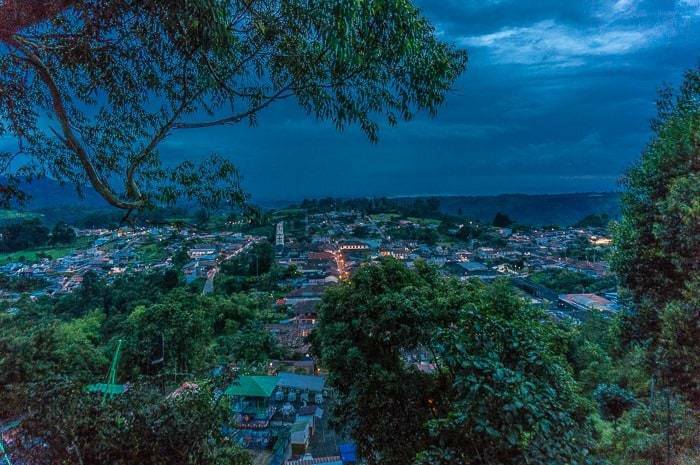 Salento sits in the heart of coffee country, so it would be a crime to visit the area without indulging in the local coffee or taking a coffee farm tour. 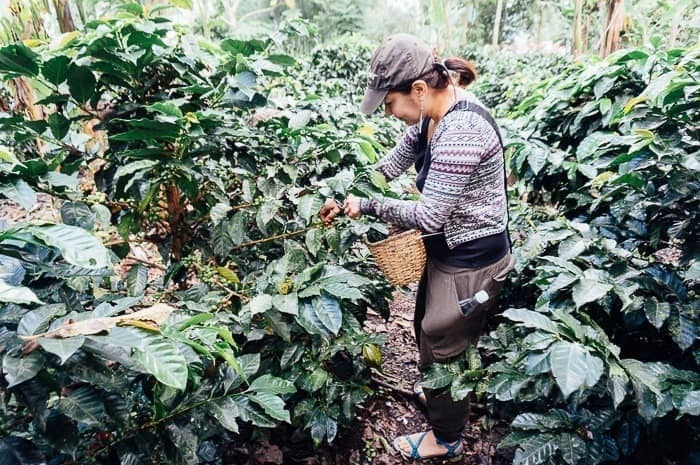 The El Ocaso Coffee Farm sits just outside of town and will give you a tour that will teach you about the entire process (except roasting) from seed to cup. In total the tour lasts around two hours, and even though I thought I already knew a lot about coffee, I still learned a ton during the brief tour. You will finish off the tour, of course, with a tasting of their very own coffee. I went on a private tour with Uncover Colombia, but you can join the group tours at El Ocaso any day of the week. Read more about my experience touring a coffee farm in Salento here. Speaking of coffee, whether you do the coffee tour or not, I would highly recommend a visit to Jesus Martin, Salento’s best coffee shop. It is located along the same street as Calle Real, but opposite the main plaza. 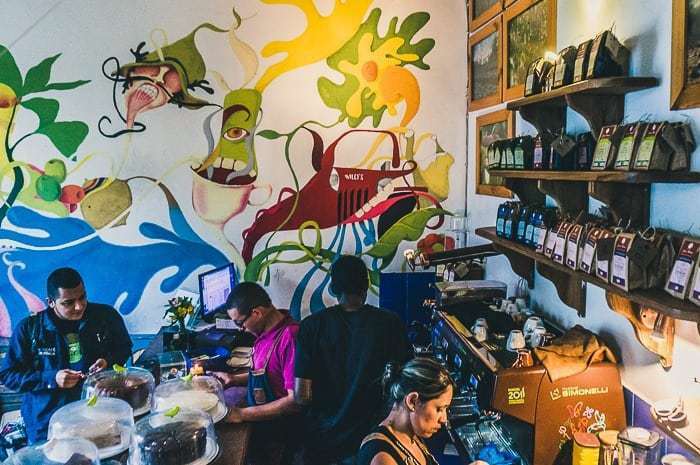 The ambiance of the place is pretty cool, and their coffee is excellent, the workers truly take pride in featuring great, local, Colombian coffee. 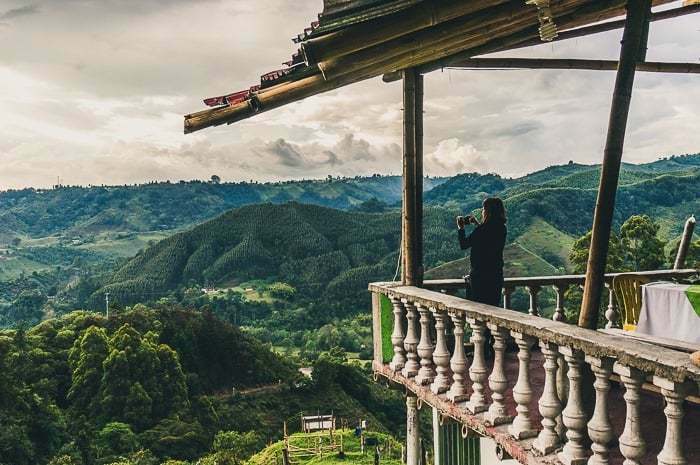 While Colombia and coffee go hand-in-hand, coffee consumption culture is still a relatively new phenomenon, but Jesus Martin is a great place to visit. If you’re on a budget, I’d highly recommend Hostel Los Girasoles which sits just at the entry into town. It is kind of hidden, sitting at the bottom of a hill, but we liked the place. For just 5.000 pesos per person, Dona Martha makes a hearty homemade breakfast in the morning. 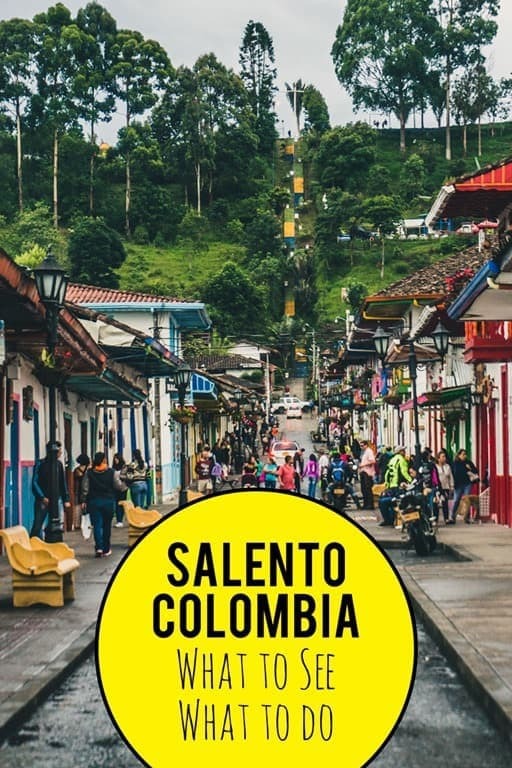 But there are plenty of places to choose from in Salento, it’s pretty popular not only among foreign tourists, but local Colombian travelers as well. Expect it to be pretty crowded on the weekends — reservations are recommended. 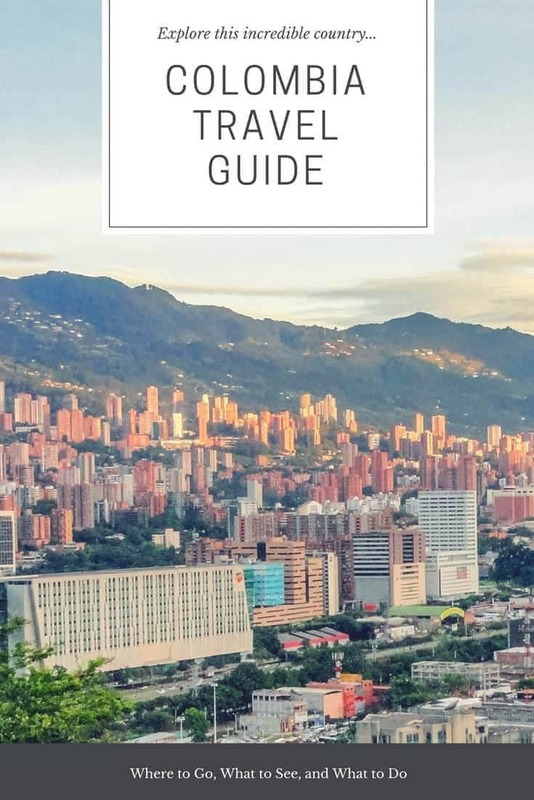 Did you enjoy this post about things to do in Salento Colombia? Please take a moment to share it on Facebook, Pinterest, or Twitter. Great article Ryan! I’m headed to salento tomorrow and your article is a huge help. I really like the very first picture on this article with the woman and mountains in the backdrop. I really want to go visit that place. Can you let me know where is that salento? Looking forward to your reply. Hey Neil, that was the view from our Hostel, Los Girasoles… Great budget place with an even better view. Enjoy Salento! What is with people giving you grief?!! Thanks for the tips! 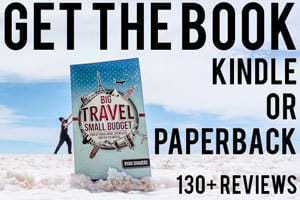 We’re heading there tomorrow and was great to read before we head there! All the best! Haha, no idea, some people are just like that, I guess. 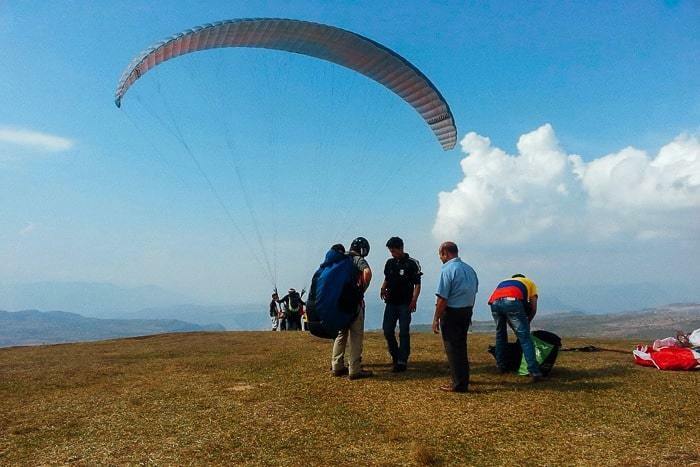 Have an awesome time in Salento — it is truly one of my favorite places in all of Colombia! 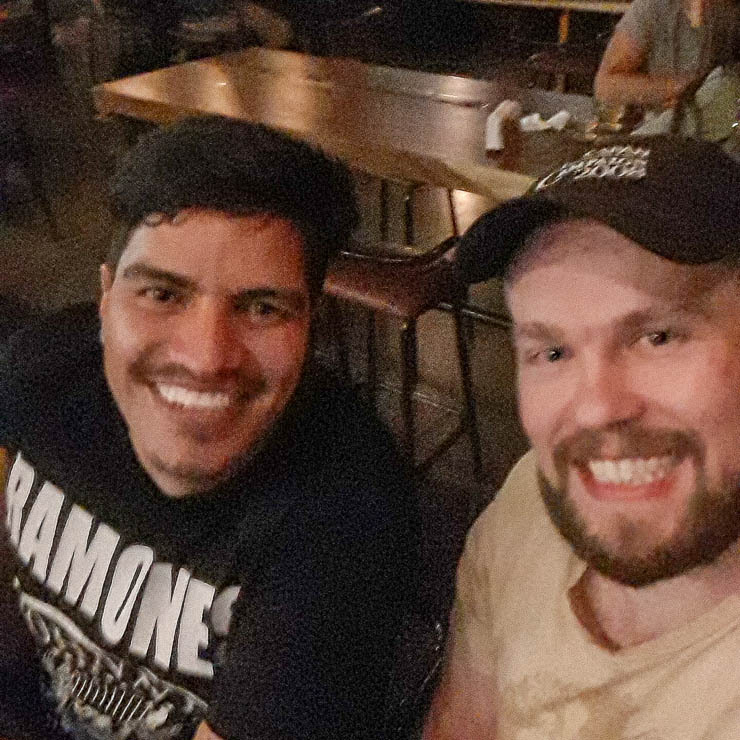 Saludos desde Medellin. You are just mentioning what every other blog mentions. 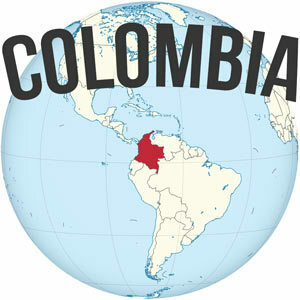 Its either you have not been to Colombia or you have not really been to Colombia. 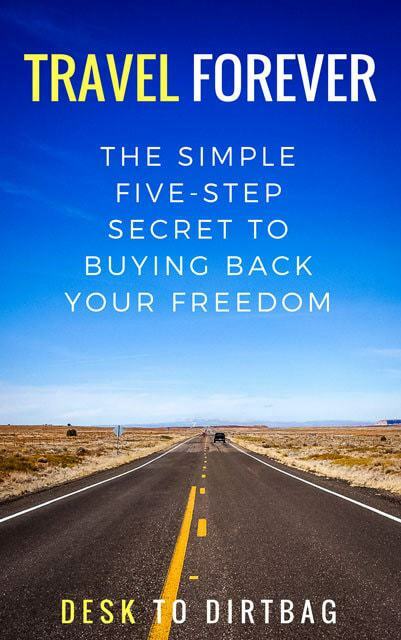 You’re right, I’ve just been photoshopping myself in Colombia for three years. I dunno, I think I do alright.